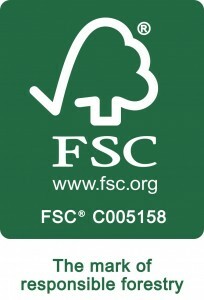 The Forest Stewardship Council® is an international, non-governmental organisation dedicated to promoting responsible management of the world’s forests. As a voluntary national scheme, the MTCS provides for independent assessment of forest management practices, to ensure the sustainable management of Malaysia’s natural forest and forest plantations, as well as to meet the demand for certified timber products. (The Timber Research and Development Association) is an international membership organisation dedicated to inspiring and informing best practice design, specification and use of timber in the built environment and related fields. The Timber Trade Federation is growing the use of wood through innovative industry representation and growing business support for its members. From Chain of Custody to employment law, from technical guidance to ready made contracts, members of the TTF enjoy unrivalled benefits coupled with industry representation of the highest order. Timber Trades Journal (TTJ) is the most widely and highly respected title in its market, renowned for its editorial content and impartial perspective on latest business and market trends across the timber industry. The magazine also has a widespread reputation as a forum for the timber sector.